Bohemian Foundation's Communications Department is ready to assist members of the media, as well as grantees interested in publicizing their awards. FORT COLLINS, Colo., April 25, 2017—Individuals, organizations and businesses in the arts, cultural and creative communities are invited to participate in an affordable housing and workspace survey that launches today. The online survey, conducted by Artspace, a nonprofit real estate developer, is available at focoartspace.org to residents of Fort Collins and surrounding areas. The survey is the next step in a process the City of Fort Collins, Fort Collins Downtown Development Authority and Bohemian Foundation began when they invited Artspace to visit Fort Collins last October. The three partners assembled a core group of community arts leaders to help plan and facilitate Artspace’s Preliminary Feasibility Visit. During this preliminary visit, Artspace conducted a series of community meetings and focus groups to assess the feasibility of creating an affordable housing, studio and workspace project designed for artists, musicians and other individual creatives and organizations/businesses. Based on the findings from this Preliminary Feasibility Visit, Artspace recommended conducting an Arts Market Study to provide an in-depth analysis of the space needs of the local arts/creative community. The Arts Market Study will consist of two versions of an online survey where respondents can answer questions about their space needs as a member of the creative community. One survey is an individual artist survey, the other survey is for leaders of arts and cultural organizations and creative businesses. All in the arts, cultural and creative communities in Fort Collins and surrounding areas are encouraged to participate in the surveys, which will remain online for eight weeks, closing on June 19. The surveys will provide data about how much housing and work space the local arts community can use and what design features and amenities are desired. Resulting data can help attract funders, encourage the creation of space by private developers and advance a possible project. In addition, survey responses will inﬂuence the location and type of new spaces, design features, amenities, programs and affordability. The City of Fort Collins, Fort Collins Downtown Development Authority, and Bohemian Foundation are the three partners that invited Artspace to Fort Collins to explore the potential of developing affordable spaces where artists/creatives of all disciplines may live and work and arts/cultural organizations and creative businesses can thrive. The partners assembled a Core Group of community arts leaders who helped facilitate Artspace’s Preliminary Feasibility Visit and who continue to engage artists and creatives in next steps. Artspace is the nation’s leader in artist-led community transformation, with 46 projects in operation across the country and another dozen in development, representing a $600 million investment in America’s arts infrastructure. With headquarters in Minneapolis and offices in Denver, Los Angeles, New Orleans, New York, Seattle and Washington D.C., Artspace is America’s leading developer of arts facilities. To date, Artspace has completed nearly 2,000 affordable live/work units for artists and their families as well as more than a million square feet of non-residential space for artists and arts organizations. For more information about Artspace visit www.artspace.org. FORT COLLINS, Colorado, March 17, 2017 - Fort Collins’ annual Project Homeless Connect is scheduled to take place on April 7, 8 a.m.-noon. Project Homeless Connect is a one-day, one-stop event on that offers a range of free services to hundreds of individuals and families who are experiencing homelessness or who are at risk of homelessness. Project Homeless Connect will take place at the Northside Aztlan Center, 112 Willow St. A free breakfast will be available in the morning, and a free BBQ lunch will be served from 11 a.m.-1 p.m. Nearly 40 local nonprofits, government agencies and businesses will provide on-site services. Bohemian Foundation; the Murphy Center; and Colorado State University Student Leadership, Involvement and Community Engagement (SLiCE) co-produce the event with support from United Way of Larimer County. Free services this year will include basic car inspection; bike repair; medical screenings; basic dental screenings for adults and children; eye exams; family photos; haircuts; housing information; veterans’ services; ID and legal services; employment services; counseling; government benefits; child care and children’s activities; bus passes; massages; toiletry packages; pet health care; and pet food. During the event, each participant is paired one-to-one with a volunteer who helps the participant navigate the variety of services available. Last year, SLiCE recruited nearly 400 CSU students and Fort Collins community members to volunteer. The Project Homeless Connect concept originated in San Francisco in 2004. In 2005, the U.S. Interagency Council on Homelessness launched the National Project Homeless Connect Partnership. Since 2008, more than 200 cities across the U.S., Canada and Australia have adopted the initiative. Fort Collins welcomed its first Project Homeless Connect in 2010. Since then, more than 12,600 individuals and families experiencing homelessness in the Fort Collins community have participated. FORT COLLINS, Colo., January 23, 2017 - Pianos About Town, an interactive public art program in Fort Collins, announced today that it is seeking artists or artist teams to paint or artistically decorate pianos in 2017. This year for the first time, the program will offer two different sessions designed to provide resources for potential applicants; however, neither session is required in order to apply. During the first session, potential applicants will hear a presentation about the application process and will have opportunities to ask questions. The second session is an open house and application review, during which program staff will work one-on-one with attendees to review their applications and make application recommendations. Applicants must provide services within Poudre School District boundary. Applicants do not need to be headquartered in Fort Collins to receive funding. However, applicants must serve clients within the Poudre School District boundary or have a direct impact on individuals in the grantmaking area. The program is looking for diversity in artwork styles and concepts, with a preference for emerging artists and new and exciting ideas. Selected artists will receive an honorarium of $1,000. To apply, artists must submit a letter of intent and concept rendering. The application deadline is 5 p.m. MST on March 6. An Art in Public Places committee selects artists each year. For further information and to apply, visit www.fcgov.com/artspublic/current-competitions.php. This session will include a presentation at 6:30 p.m. about the application and review process. Ren Burke, a past Pianos About Town artist, will offer tips to new and returning applicants. Handouts will be provided and program staff will be available to answer questions during the rest of the session. At this drop-in session, staff will be available to sit with applicants one-on-one to review applications and make application recommendations. Staff also will be available to provide general information for applicants who were unable to attend the first information session. Information about other artist opportunities offered by the City of Fort Collins will be available. As part of the Pianos About Town program, local artists transform donated pianos into visual art. Once completed, the pianos take on their new status as interactive public art throughout Fort Collins. Pianos About Town started in 2010 as a collaboration among Bohemian Foundation, the Downtown Development Authority and the City of Fort Collins Art in Public Places Program. Bohemian Foundation today announced that Pharos Fund is now accepting applications for the Spring 2017 grant round. The Pharos Fund is a responsive grant making initiative of Bohemian Foundation’s Community Programs. Bohemian Foundation is a private family foundation based in Fort Collins, Colorado. Applicants must be a 501(c)(3) organization or a governmental unit serving a charitable purpose. Private foundations, type III non-functionally-integrated supporting organizations, and programs and projects under fiscal sponsorship are ineligible to apply to Pharos Fund. Bohemian Foundation will accept applications until 11:59 p.m. on Feb. 2. Applicants may apply for the following types of support: program support, general operating support or project support. Pharos Fund grant applications are considered twice per year, once in the spring and once in the fall. Applicants may request any funding amount up to $30,000 per application. FORT COLLINS, Colo., December 12, 2016--- Bohemian Foundation today announced that it awarded $500,000 to 29 local nonprofits working to encourage and enable youth to thrive, empower individuals and families on the path toward economic stability and strengthen our vibrant Fort Collins community. Bohemian Foundation awards Pharos Fund grants twice every year. Since its inception in 2001, Bohemian Foundation Community Programs has awarded more than $16,700,000 million in Pharos Fund grants to a variety of nonprofits serving the Fort Collins area. Organization Name Faith Family Hospitality of Fort Collins, Inc.
Organization Name Fort Collins Museum of Contemporary Art, Inc.
Organization Name Larimer County Partners, Inc.
Organization Name Neighbor to Neighbor, Inc.
Bohemian Foundation will begin accepting applications for the next Pharos Fund round starting December 21, 2016. Visit BohemianFoundation.org for more information. Bohemian Foundation is a private family foundation established in 2001. Based in Fort Collins, Colo., Bohemian Foundation works to empower citizens and impact communities through its responsive grant making programs and special initiatives. DENVER, Colo. – Colorado Creative Industries (CCI) and Bohemian Foundation today announced a public-private partnership to advance music in Colorado through the Colorado Music Strategy, a comprehensive plan to support music as a key creative industry in the state. The Colorado Music Strategy aims to increase revenues for Colorado-based musicians and music-related businesses while raising state’s profile nationally and internationally. The strategy will provide resources and leadership for music projects, grants to nonprofits to present music and opportunities for networking and thought-sharing at an annual music conference. Bohemian Foundation has committed $75,000 in matching funds to support the first year of the strategy. The strategy also includes designating a Colorado Music Ambassador. Gov. John Hickenlooper along with CCI chose Shawn King of Devotchka as the 2017 ambassador for his outstanding creative, professional and social contributions to the state. In addition to his exemplary creative activities, King has worked recently with Colorado businesses to increase music licensing opportunities for Colorado musicians. King will continue to advocate for the placement of Colorado music in film, on television and online. He also will lead workshops around the state on music licensing. The CCI pilot music touring project, Detour, will continue through 2017 as part of the strategy with two or three additional statewide tours. Detour was launched in partnership with the Colorado band Flobots to match Colorado musicians with communities throughout state for special performances, community events and workshops. Detour has helped to increase touring opportunities for musicians in Colorado while also creating access to music in parts of the state that are not traditional tour stops. Colorado’s music industry currently contributes 16,300 music-based jobs to the state’s economy and generates $1.8 billion in annual revenue. FORT COLLINS, Colo. – Fort Collins community members are invited to attend an Oct. 11 public forum conducted by Artspace, a national nonprofit dedicated to creating affordable spaces for artists and creative businesses. The public forum will run 5:30-7 p.m. Oct. 11 in the Columbine Room at the Lincoln Center, 417 W. Magnolia St. Attendees will have an opportunity to learn more about Artspace and to contribute their ideas about affordable housing and other spaces for artists. The City of Fort Collins, the Fort Collins Downtown Development Authority and Bohemian Foundation invited Artspace to Fort Collins to conduct a Preliminary Feasibility Visit. The public forum is part of their visit which will identify the types of spaces needed and assess the potential to create the spaces in Fort Collins. Artspace is the nation’s leader in artist-led community transformation, with 35 projects in operation across the country and another dozen in development, representing a $600 million investment in America’s arts infrastructure. With headquarters in Minneapolis and offices in Los Angeles, New Orleans, New York, Seattle and Washington D.C., Artspace is America’s leading developer of arts facilities. To date, Artspace has completed nearly 2,000 affordable live/work units for artists and their families as well as more than a million square feet of non-residential space for artists and arts organizations. For more information about Artspace visit www.artspace.org. FORT COLLINS, Colo. – Sept. 7 marked the beginning of a soft opening for the Music District, a 57,000 square foot campus with communal areas, coworking, industry incubation, rehearsal rooms, retail, radio, residences and more. Throughout the month of September, workshops, rehearsal spaces and tours are available to the general public. Opening activities will culminate with an opening celebration Sept. 30. The event is free and open to anyone curious about the new space. RSVP is required on the Music District’s website at www.themusicdistrict.org. A complete calendar listing of current happenings is also available. 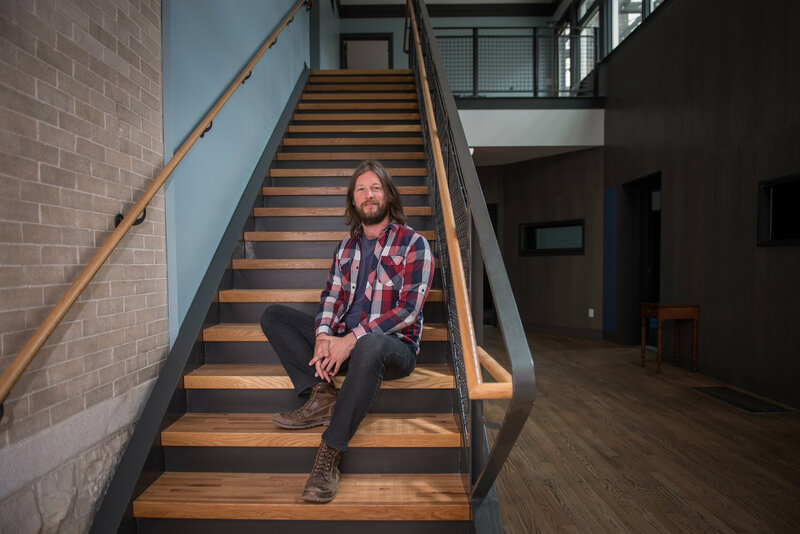 “We’re excited to have a wide range of folks from all the different music communities and scenes colliding here, whether they’re from Fort Collins, the rest of Colorado or the wider music world,” said Music District Director Jesse Elliott. The Music District is a dynamic gathering hub, workspace and creative playground for the music community. For the novice or pro, it’s a place where anyone can hone their craft, learn the business and share skills and passions with musicians and music lovers. The five building campus will connect Fort Collins to regional, national and international music communities through collaboration and partnerships, offering free and fee-based programming for the public and music enthusiasts. A living laboratory, it will continuously evolve to meet the ever-changing needs of the Northern Colorado landscape and the wider music world. Visit www.themusicdistrict.org for more information, current events and bookings. Bohemian Foundation is pleased to announce that the Pharos Fund is now accepting applications for the Fall 2016 grant round. The Pharos Fund is a responsive grant making initiative of Bohemian Foundation’s Community Programs. Applicants must be either (1) a 501(c)(3) organization or (2) a governmental unit serving a charitable purpose. Private foundations, type III non-functionally-integrated supporting organizations, and programs and projects under fiscal sponsorship are ineligible to apply to Pharos Fund. Applicants must provide services within Poudre School District boundary. Applicants don’t need to be headquartered in Fort Collins to receive funding. However, applicants must serve clients within the Poudre School District boundary or have a direct impact on individuals in our grantmaking area. Bohemian Foundation will accept applications until 11:59 p.m. on September 8th. 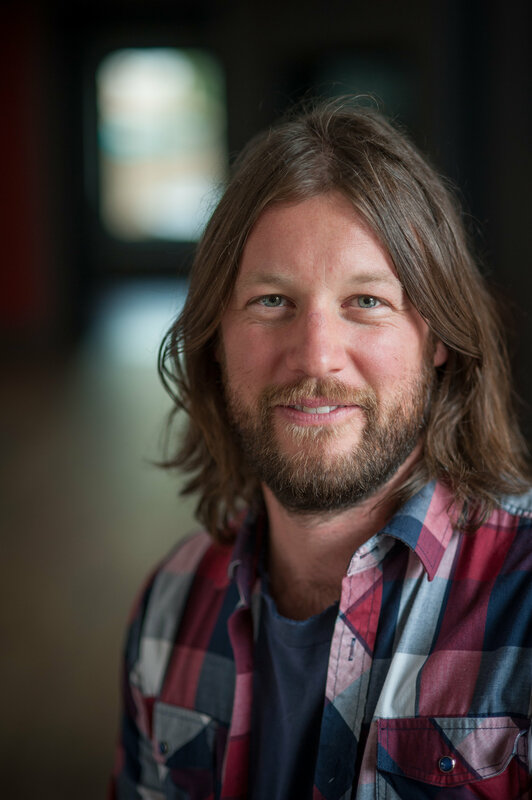 FORT COLLINS, Colo., May 16, 2016 – Bohemian Foundation today announced it has named Jesse Elliott as director of the new Music District LLC, a Fort Collins music hub designed for musicians and music-related businesses. Elliott will lead the Music District staff and will be responsible for all operational aspects of the Music District, including overall management, programming and community relations. Elliott will begin work as director today in preparation for the Music District’s opening in September. "Jesse brings tremendous breadth of experience to this position,” Bohemian Foundation Music Programs Director Tom Scharf said. "He is both a longtime working musician as well as an effective and highly innovative leader with a track record of successfully initiating and implementing projects. We’re excited to see how the Music District develops under his directorship." Elliott previously acted as a consultant for the Music District through Range Music Ecosystems, a company that he co-founded. At Range Music Ecosystems Elliott developed music initiatives for a variety of clients across the state, including the City of Denver and the State of Colorado. Elliott also is a musician who has founded two touring bands that have performed more than 1,200 live shows. The Music District, located at 619 to 639 S. College Ave. is a five-building complex designed to serve as a dynamic gathering hub, workspace and creative playground for the music community. The space will be open to community members interested in honing their musical abilities, learning the music business and sharing their music-related skills with other music lovers. The Music District will include rehearsal areas, practice rooms and creative spaces, and it will house music-related service providers, retailers and organizations. During the next several months, Elliott will oversee hiring of staff for the Music District. Please visit themusicdistrict.org for more information about the Music District and to submit inquiries and ideas. Bohemian Foundation, a Fort Collins-based private family foundation established in 2001, works to empower citizens and impact communities through its responsive grant making programs and special initiatives. Bohemian Foundation provides support for the Music District. Visit bohemianfoundation.org for information about the foundation’s four program areas: Community Programs, Global Programs, Civic Programs and Music Programs.